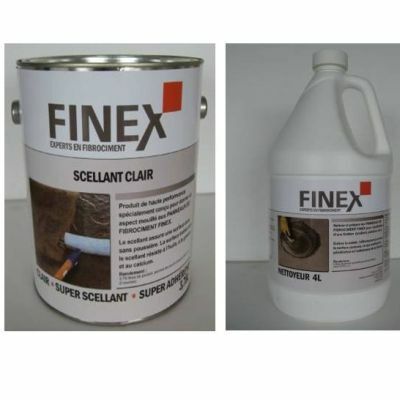 On April 12, 2011 Health Canada has recalled Finex Clear Sealer and Cleaner Products. Health Canada's auditing process has revealed that the recalled Finex Cleaner is corrosive and the recalled Finex Clear Sealer is flammable. Neither product currently meets the warning labeling requirements for consumer chemical products under Canadian law. This lack of appropriate warnings on the label could result in unintentional exposure to these products and lead to serious illness or injury. At time of recall neither Finex Inc. nor Health Canada has received any reports of incidents or illnesses related to the use of these products. If you have one or both of the two recalled products in your possession, you should immediately stop using the products and return them to the place of purchase for a replacement label. After the replacement label is affixed by the place of purchase, the product can be used safely again. If you do not wish to return the products then you should dispose of them according to Municipal Hazardous Waste Guidelines. For more information, you may contact Finex Inc. at 1-877-92-FINEX (34639). Approximately 500 of the recalled cleaners and 375 of the recalled clear sealers were sold in the last two years at various retailers in Canada. The affected products were sold from January 2009 to February 2011. This product was manufactured in Canada. The manufacturer is Finex Inc. of Salaberry-de-Valleyfield, Quebec.